The Dension Compact BT is a universal hands free solution with built-in Bluetooth designed for playing music in cars equipped with FM radio or auxiliary input. Adding Bluetooth connection without changing the car’s interior? Just became possible. 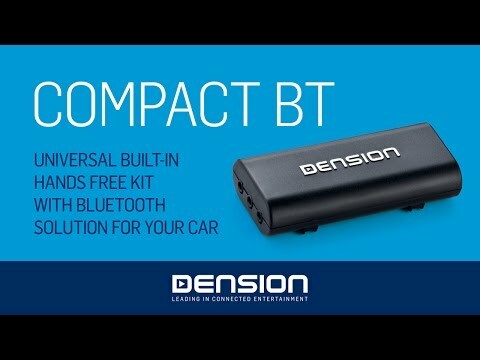 The Dension Compact BT is a universal hands free solution with built-in Bluetooth designed for playing music in cars equipped with FM radio or auxiliary input.